Best care nurses registry is the Best home health care in Fort Lauderdale and Miami, is a private, state-licensed Nurses Registry that refers caregivers for seniors/elders. We are one of the largest family-owned private duty home care companies in South Florida. Established in 1980 and continuing on into the future, We are #1 for all of your private duty home health care needs in Fort Lauderdale, Miami, and all South Florida. 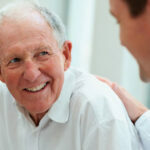 Our company is led by a specialized management staff with decades of in-home health care experience. With a variety of backgrounds including nursing, business, and legal experience our team is well-rounded and knowledgeable.